Korean pop group Girls’ Generation members Seohyun and Sooyoung in March issue of Ceci Magazine [Kr] as muses for Tommy Hilfiger clothing brand. Cute video, but a forgettable song. 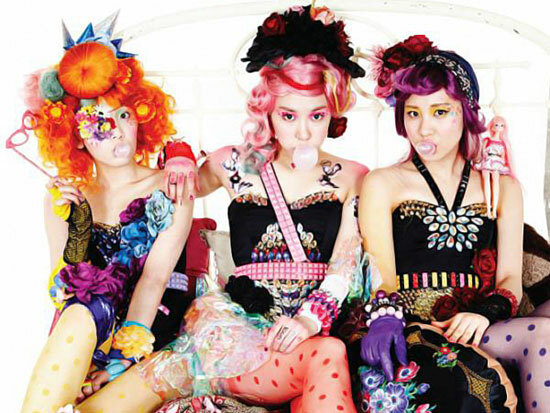 These three are the better vocalists in the group, but they need a lot more swagger and charisma to nail this genre. Regardless, Twinkle is topping all charts in Korea and doing reasonably well on iTune and Billboard. When you are on a roll whatever you make will turn into gold. Korean pop group Girls’ Generation performed at the Angel Price Music Festival in Seoul’s Lotte World earlier today. A tiny drama happened when a dude got on stage and dragged one of the members, Taeyeon. Thankfully nothing serious happened, more details on Snsdkorean and Soshified. Korean and English MV for Lets Go by Group of 20, a project group featuring 20 young K-pop idols. The song is released in conjunction with the G20 Summit – a global leader conference which is going to be held in Seoul next month. The artists are Jonghyun (SHINee), Gyuri (KARA), Seohyun (SNSD), Junsu (2PM), Changmin (2AM), Jaekyung (Rainbow), Sungmin (Super Junior), Kahi (After School), Luna (fx), Jieun (Secret), Junhyung (B2ST), Gayoon (4minute), Min (miss A), G.O (MBLAQ), Bumkey (2wins), G.NA, Son Dam-bi, Seo In-guk, IU and Anna. [Update] Check out the English version as well; identical MV with English lyrics. Decent song. Most of the participating pop groups show courtesy by sending their best vocalists, thus we are seeing some of the best young Korean idols here.